Tonight is the peak of the Delta Aquarid meteor shower, which has been visible since July 12 and will run until August 23. Though this is a minor shower and there are only expected to be 15-20 sightings per hour, Saturday’s new moon means the sky will be nice and dark and the meteors will appear brighter. For those that can’t get outside to watch, Slooh will be doing a live webcast of the event tonight, starting at 10 pm EDT. Slooh astronomer Bob Berman will be providing commentary from the Institute of Astrophysics, Canary Islands. The best time to view will be during pre-dawn hours as far away from city lights as possible. The shower will be visible almost anywhere in the world (light pollution and weather permitting, of course) but those living in the tropics will have the best view. The meteors will appear to be radiating from the constellation Aquarius from the star Skat, also known as Delta Aquarii. 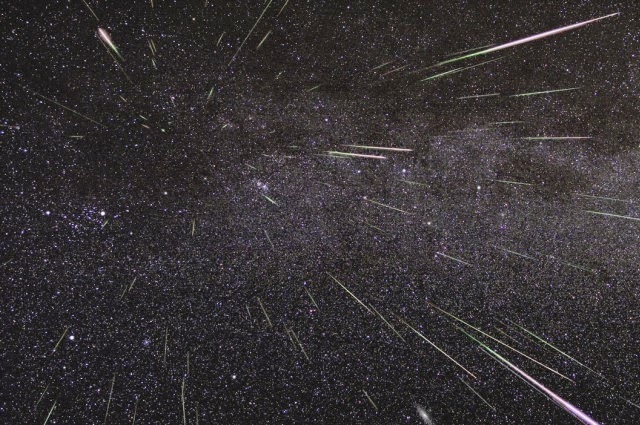 There is a chance that tonight’s stargazers in the Northern Hemisphere will spot meteors from the Perseids shower; an annual favorite that will peak August 10-13.